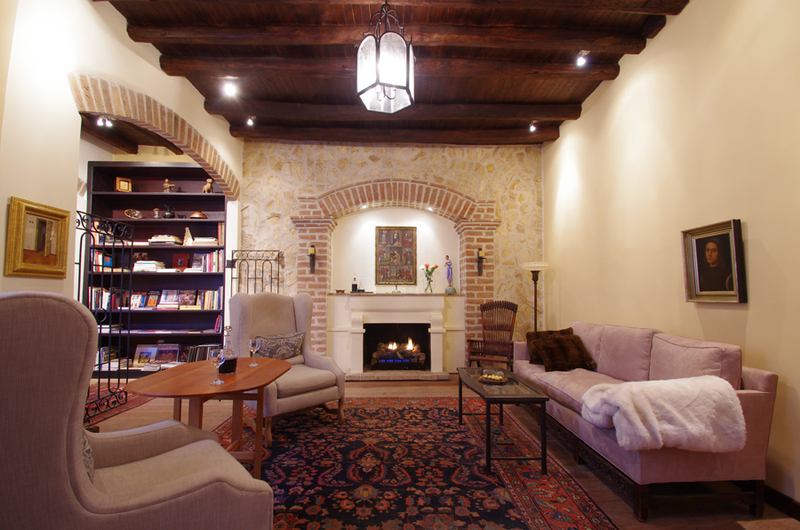 Like other expatriates who take on a major house renovation project in their adopted country, Dorie Deal and Bob Hoerster readily admit that they didn’t know what they were getting into four years ago when they purchased a large house in Cuenca’s historic district. 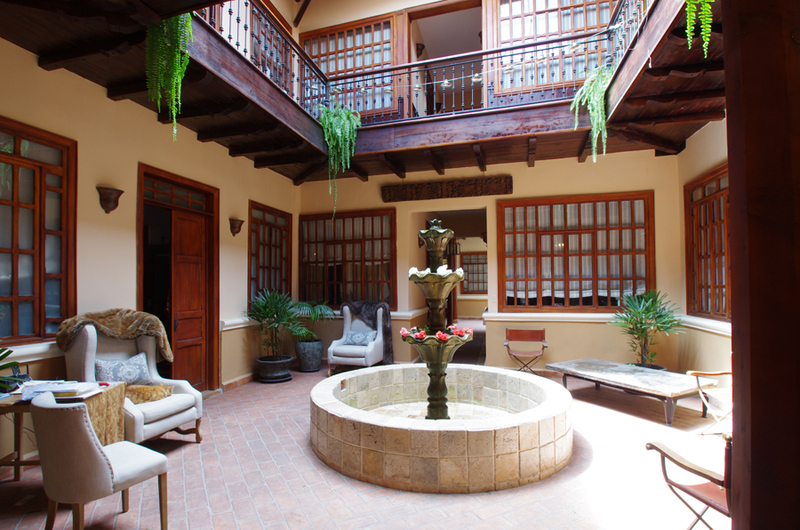 The 150-year-old house on Calle Juan Jaramillo is ideally situated in Cuenca’s historic district, a UNESCO World Heritage Site. Only three blocks from the city’s iconic cathedral and Parque Calderon, the city’s central plaza, it is in an area of theaters, museums, and restaurants. It is only two blocks from the tumbling river (Rio Tomebamba) and five blocks from Cuenca’s new light rail system due to be completed in early 2016. Besides its location, Dorie was captivated by the house’s history.”Of course, any historic home has stories to tell but this one told one that especially appealed to me,” she said. During the course of reconstruction, more than 300 dump truck-loads of debris were removed from the house. The roof, walls, and floors were rebuilt and replaced, leaving tons of old material to be carted off to the city landfill or to be recycled by the construction team. Replacement parts and materials were often hard to find or required hand-made duplicates, a situation that led to a number of construction delays. Adding to scheduling considerations was the fact that historic district inspectors, whose job it is to protect Cuenca’s patrimony, were required to sign off on changes and replacement materials. In the chaos of reconstruction, a number of pleasant discoveries were made, including the original marble flooring buried under layers of newer floors, and open beam ceilings, hidden by drop-ceilings added in the 1960s. The inspectors were also pleased with the discoveries because they meant that the house could return to its original condition. As a gesture of respect to the archbishop, one of the first decisions Dorie made was to restore his third-floor chapel.”It was the center of his spiritual life and I thought it deserved to be preserved,” she said. 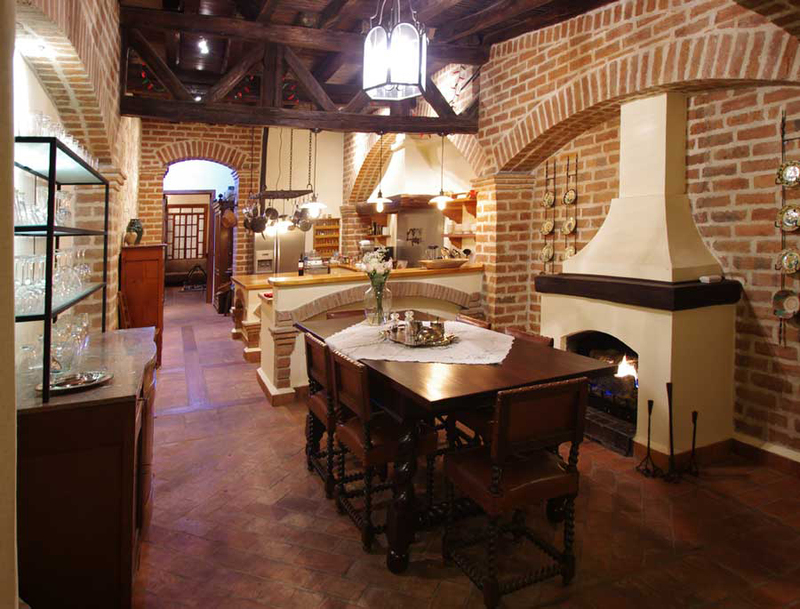 As a finished work, Dorie’s, Bob’s—and the archbishop’s—home is truly one of Cuenca’s most magnificent residences. At 13,500 square feet, the house features three atrium fountains, a state-of-the-art hacienda-style kitchen with views to the private back garden, eight remote-controlled gas fireplaces, three balconies, two wet bars, three luxury suites, two of them with spa baths with their own steam generators, a rooftop terrace with views of Cuenca’s domed cathedral, two offices with libraries, and maid’s quarters. And then there’s the archbishop’s chapel, lovingly restored with period sculptures and artwork. The visible restoration work is matched by what you don’t see, including all new plumbing and wiring and new water purification and heating systems. According to Dorie and Bob, the restoration features a level of craftsmanship no longer commonly available in North America or Europe. Handmade wooden doors and windows, constructed to detailed specifications, as well as Old World metalwork, are among the highlights. Others included three fountains featuring stonework from local quarries, 21 handcrafted chandeliers, as well as 40 light sconces. Bob still questions Dorie about what she saw in the old house. Dorie blames it on “blind enthusiasm” but says it was that enthusiasm that was ultimately responsible for the finished masterpiece on Calle Jaramillo. What are the hard-earned lessons Dorie and Bob learned during their project? Dorie has talked to expat friends who have taken on renovation projects in other expat communities, including San Miguel de Allende, Mexico, and says what she’s learned could apply anywhere in Latin America. First, understand your cultural and language limitations, and expect that they will present serious problems during your project. It will take patience and persistence and strong interpersonal skills to work your way through these. Understand that building standards are different than what you were accustomed to back home. Also understand that materials and how they are used are different too. Communicating your vision of what you want is critical, and it is important to realize the workers, even architects, may not, at first, be able to envision what you want. Some locals respond to plans, some to photographs, and some to verbal instructions, so it’s important you find the best way to communicate, especially to architects and contractors. Plan to visit the construction site at least once a day. Mistakes will be made and the sooner they’re caught, the less expensive they will be to correct. Although Ecuador has come a long way in reducing corruption, a small cash payoff can sometimes grease the skids in paperwork or inspection delays. Each expat restorer needs to follow his or her best sense in dealing with these situations. Don’t start a project without a good guide, usually an architect. The permitting, hiring, and working conditions can be overwhelming, and you need a respected local to run interference for the project. No matter how difficult the communications, or how large the conflicts, always show respect to the architect, contractor, and the workers. This is crucial for resolving conflicts, correcting mistakes, and, ultimately, getting the end-product that you want. Editor’s Note: David Morrill is a journalist who has worked as a syndicated columnist, book reviewer, and magazine editor. David currently writes for the Miami Herald and Hoy, an Ecuadorian daily newspaper. A resident of Cuenca since 2004, he is co-founder of Cuenca Real Estate, editor of both CuencaHighLife.com (an English-language news blog) and EcuadorRealEstateNews.com, a real estate news blog. I thought I was a well-seasoned renovator until I heard the story of Dorie and Bob, who have now set the gold standard for expat renovations. I first learned of their tale on David’s real estate blog and asked David to share it with us here. I am new to investing in non-USA properties. I have followed most of your writings for quite a while, but I have not seen anything about New Zealand. I understand that NZ is a delightful place so I would like to get your opinion if possible. New Zealand is indeed one of the world’s premier destinations. It’s inherently beautiful, and is home to one of the world’s most honest cultures. You’ll be hard pressed to find a better country in which to sit out the North American or European winters. The catch is residency for retirees. New Zealand welcomes productive working people who contribute as immigrants…but it’s difficult-to-impossible to get residency as a pensioner. But it’s perfect as a part-time residence. As a U.S. or Canadian citizen, you can stay three months per visit (extensions are possible), to a maximum of six months out of any 12-month period. UK residents can stay six months right off the bat. Our correspondent Rob Carry has close ties to New Zealand. Look forward to hearing from Rob in a future issue.